Pen Y Dre Farm Cottages01873 890246work Self-cateringPen-Y-Dre Farm Cottages is a recently converted beautiful 17th Century Coach House near Abergavenny in Monmouthshire. Much attention has been paid to the finer details - many of the original features have been retained, including the great oak beams and stone walls giving the cottages a true `country feel`. Pen-Y-Dre Farm Cottages is a recently converted beautiful 17th Century Coach House near Abergavenny in Monmouthshire. Much attention has been paid to the finer details - many of the original features have been retained, including the great oak beams and stone walls giving the cottages a true `country feel`. The layout of the cottages are similar but they all have individual characteristics and decor. A private drive leads to the front and a few steps lead up to the doors, the living area is on the higher level. There are stairs down to the bedrooms and bathroom which is then level with the farm courtyard! 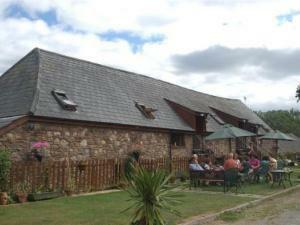 This is a large mixed farm with cattle and arable, including a few unusual breeds of poultry. We are happy for visitors to explore the farm, which also has a woodland site.